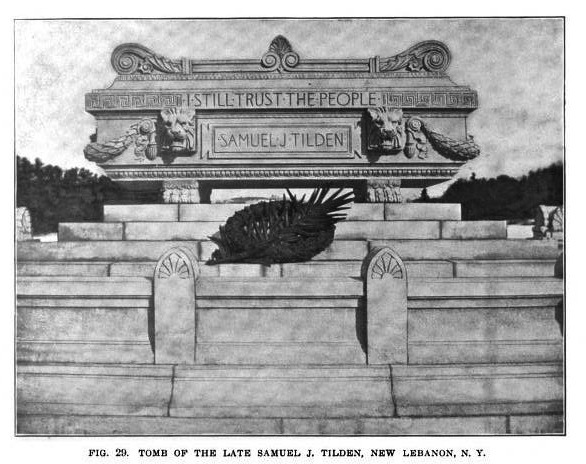 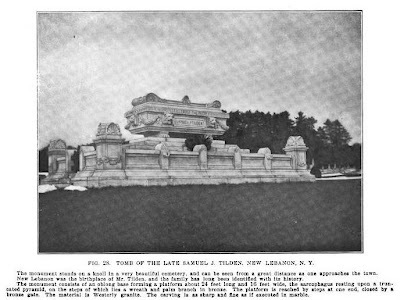 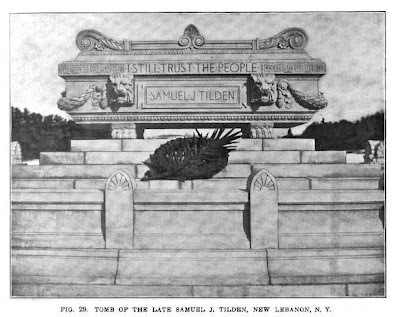 The Samuel J. Tilden Monument designed by Ernest Flagg c. 1895 in Cemetery of the Evergreens in New Lebanon, New York. Click HERE for more on the Tilden Monument. The monument, and surrounding area, appear on the 'Find A Grave' web site. 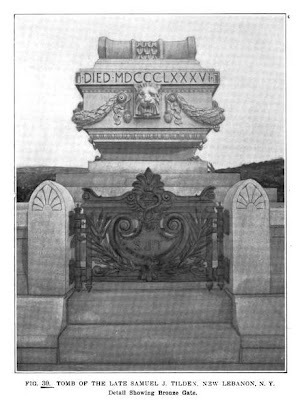 The monument itself is well kept; the bronze gates still extant, but the bronze wreath is now missing from the site.